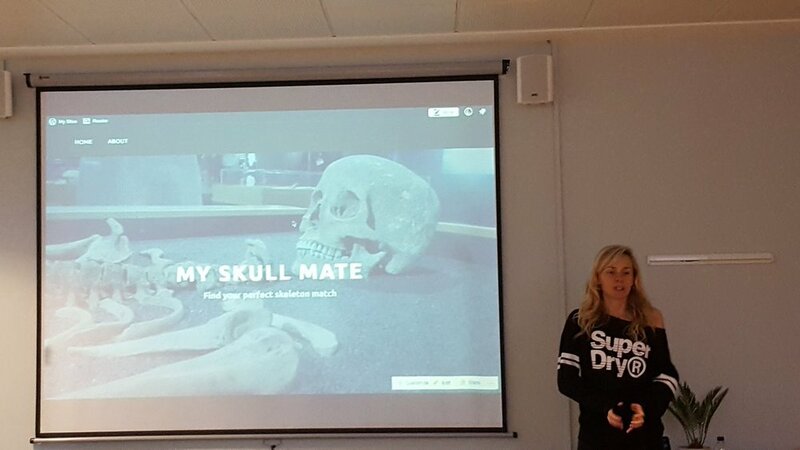 "My Skull Mate" by The Skull Mates is an online interactive which asks the player quickfire questions to match their interests up with one of the skeletons in the "Skeletons: Our Buried Bones" exhibit. 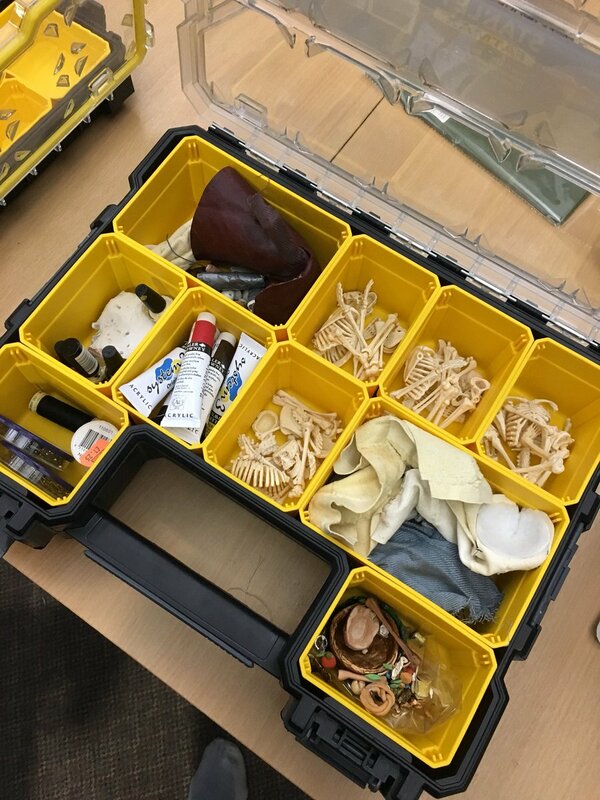 Through exploring choices such as "inside or outside" and "love or money" the team hoped to add a layer that facilitated personal connections to the bones of our past. At the end of the interactive the player is presented with personal "favorites" and "info snippets" from the skeleton, allowing the player to start a dialogue about past and present experiences. Our judges thoroughly enjoyed the fun, personal approach that “The Skull Mates” bought to this creative challenge. Ian Kirkpatrick commented that it was such “a great way to engage with the humanity of the figures” and “also (importantly) to encourage people to search around the exhibit” allowing them to engage on a deeper level with the people and artefacts within. Zsolt Sándor added that it was a “very playful and innovative approach to the theme” that assisted in making the skeletons “relatable as human beings”. Imran Ali was keen to see more of this piece, stating that it was brilliantly fun with the potential to be “morphed into all kinds of interesting variants” giving it a fabulous scalability. 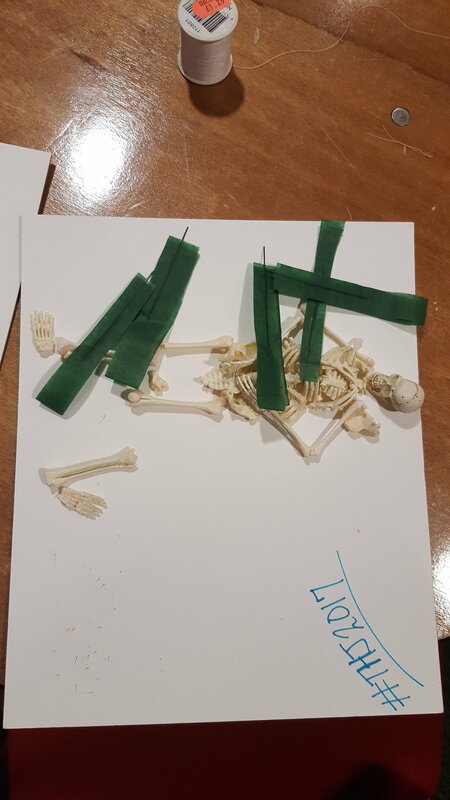 For constructive criticism the judges probed the question of accuracy and authenticity, explaining that they would like to see additional “research about the actual history of the skeletons” woven into the fun approach. 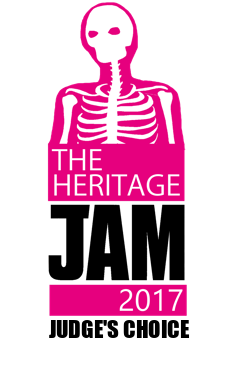 The judges and our #THJ2017 team thoroughly commends the technical and creative approach that “The Skull Mates” took. The piece effectively engages with an identified issue in the gallery space and used a fun, personal approach to engage the audience in a clever way. We look forward to seeing more creative pieces by this fabulous team in the future! "Bodies of Evidence" by Graves Anatomy explores three stages of the bones of our past for two burials: at the point of burial, at the point of excavation and storage / display in archaeological and heritage contexts. This piece was awarded the runner up prize at our in person jam, as well as recieving Ian Kirkpatrick's personal choice award. Read on below to find out more about this inspiring project and engage with the judge's fabulous comments. 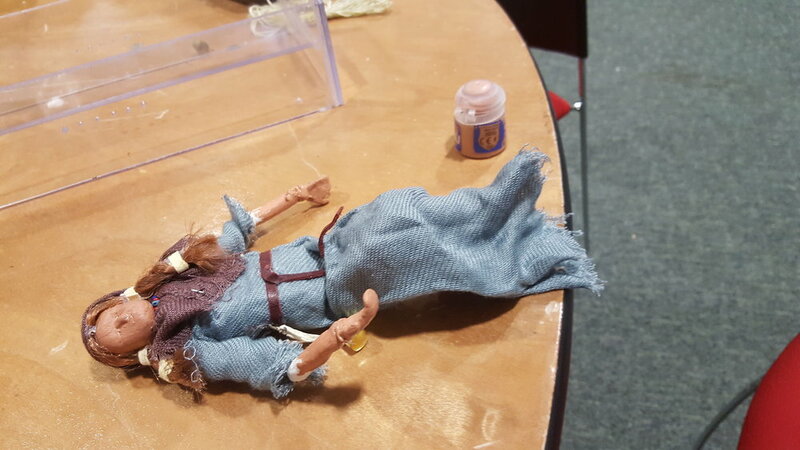 Our judging team were unanimous in saying that these figures were exceptionally well crafted - of an artistic and technical level that could be installed into a professional exhibit immediately. Imran Ali commented that they were “beautifully crafted figures which provoked a lot of discussion and ideas about the culture around burial and death” – a sentiment echoed by Izzy Bartley who stated that the “execution is fantastic” with lots for adult and younger audiences alike to engage with. Ian Kirkpatrick added that “these pieces were incredibly striking”, noting that “the Perspex particularly gave them a great contemporary feel”. Zsolt Sándor rounded out the judges comments stating that he was intrigued by “how the piece turns objects back to humans” and “helps us to understand and connect with the artifacts”. For constructive critique the judges would have liked to see a short textual introduction to provide some “scaffolding for helping audiences understand and engage with the path of questioning” the figures posed. In all, this visualization demonstrated incredible artistic and technical capacity – both our judging panel and our #THJ2017 team could not believe the level of detail and quality of outcome that this team had produced in such a short time. 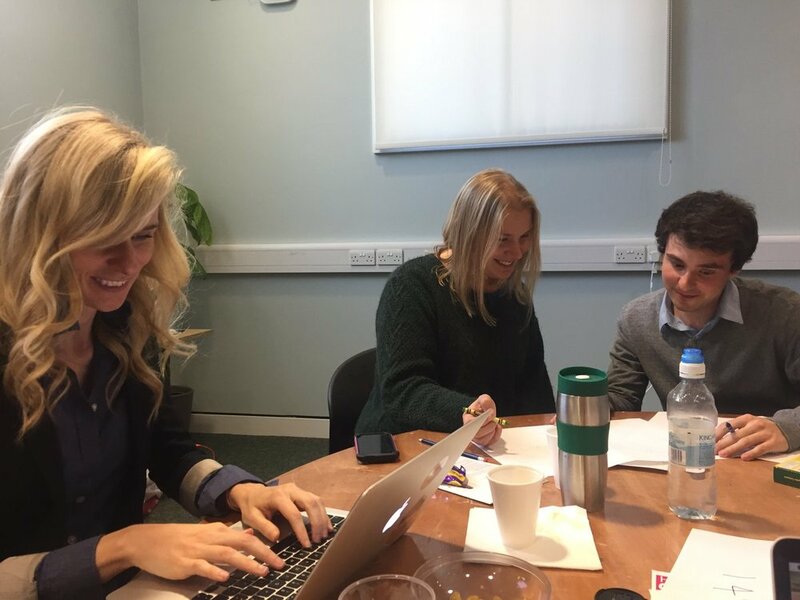 The ambition and quality of the work cannot be commended enough, and we are truly excited to see what this creative team produces in the future. This piece recieved Ian Kirkpatrick's judge's choice award. In selecting this piece Ian said "I loved the care and attention put into this entry. The resulting pieces were surprising in the way they were presented, especially the model featuring only artefacts (i.e. where the body was hidden). Even if the models themselves couldn't be handled (i.e. if they were themselves in a case) I think they are really fascinating and add another dimension to the Wellcome exhibit, including for children (but also adults!). But I also did think it was a fantastic idea to make them something that could be touched and manipulated. It was the entry that caught my attention the most, in large part due to the care taken in its creation/execution. "Two Kings, One Throne" is a prototype of a video installation for the "Skeletons: Our Buried Bones" exhibition. The resource was created to increase the accessibility of the exhibit to children and visitors who prefer non-textual mediums. The video utilises stylised shadow puppetry against a rich watercolour background. 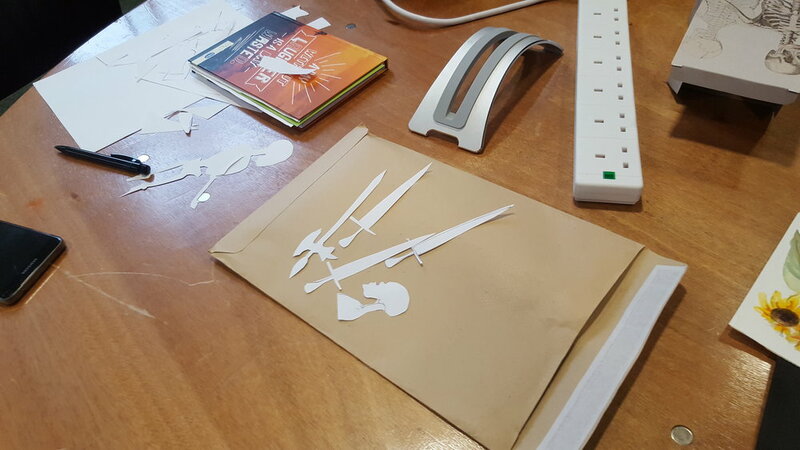 Below are images taken whilst the team crafted their visualization. Our judges were unanimous in their appreciation of the audience centred approach and artistic merit shown in this piece. Ian Kickpatrick said he "thought it was a great solution to the issue of the exhibit being tricky for kids to enjoy/interpret." Zsolt Sándor added that he enjoyed "the level of thought and detail that went into this seemingly simple video. 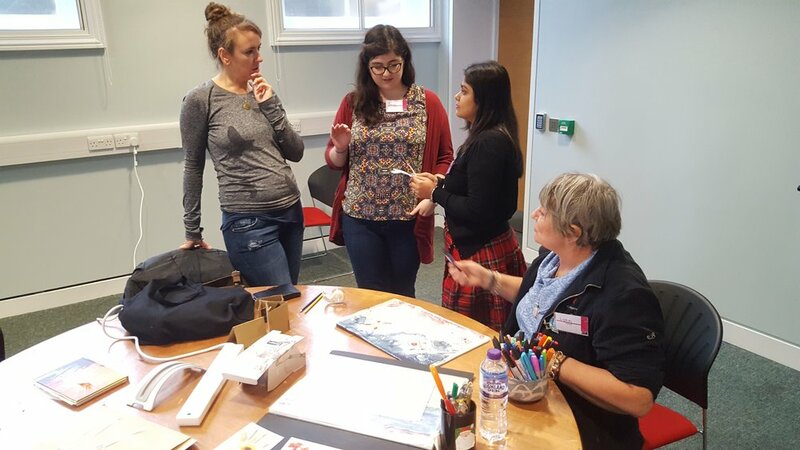 Love that it's engaging with a target audience that's often overlooked in a museum setting." The incredible detail and archaeological evidence included in the backdrop was mentioned by Imran Ali who said "Love the easter eggs in the development of the backdrop, implying many more layers can be peeled back for further questions." For constructive critique Izzy Bartley noted that a voice over or short introduction would help make the level of detail obvious and accessible, saying "I would like to see a very short introduction as part of the video, which gives context. This could also be useful at the end as there is a lot of information contained in the background." Imran noted the potential that this piece had for children to participate in making these stories, saying "it would be great to see how kids could make (and keep) their own stories digitally." Overall our #THJ2017 team and our panel of expert judges were amazed at how much this team had accomplished in two short days. The fact that they went into the museum and conducted brief surveys to identify a problem and ground their creativity in data added an impressive level of rigor to an technically and artistically impressive visualization.